A special project started by Army Welfare trust and Bdjobs website. 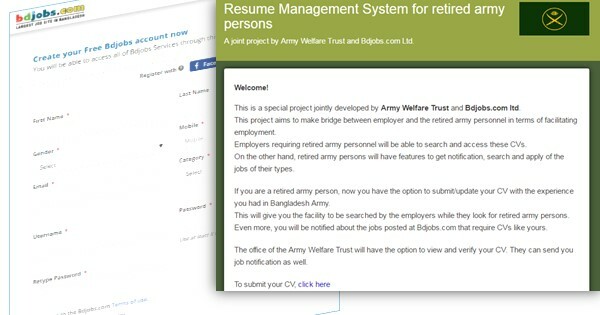 Through this project, retired army officer in Bangladesh can submit their CV through BDjobs website and get job. A notification will be sent to the user. If you already have CV at Bdjobs.com, click here to update . For more information, visit BDjobs website.